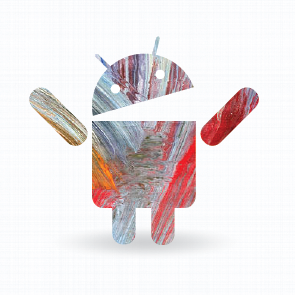 By now you've probably heard about ART and how it will improve the speed and performance of Android, but how does it actually perform today? The new Android Runtime promises to cut out a substantial amount of overhead by losing the baggage imposed by Dalvik, which sounds great, but it's still far from mature and hasn't been seriously optimized yet. 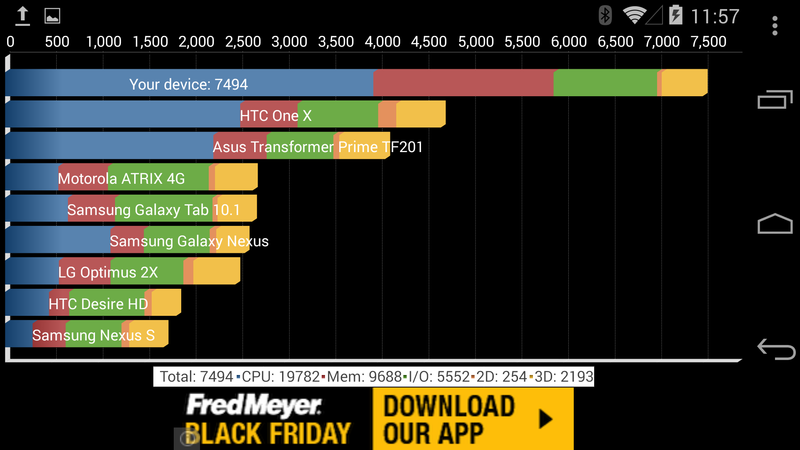 I took to running a battery of benchmarks against it to find out if the new runtime could really deliver on these high expectations. ART is definitely showing some promise, but I have to warn you that you probably won't be impressed with the results you'll see here today. Let's be honest, benchmarking apps tend to be inaccurate and unreliable, often giving wildly varying results even when run in precisely identical situations. However, they are the only option available for recording meaningful and measurable values on performance. Further, since most popular benchmarks are built on the NDK (Native Development Kit), they won't gain any benefit from running under ART. Despite these limitations, there are some interesting and unexpected results that help us learn a little more about the current state of performance. Each benchmark was run at least 4 times on a completely stock Nexus 5 (it isn't even rooted) with both Dalvik and ART. To ensure there was no interference from apps at startup, a minimum of 5 minutes was given after a reboot before any tests were run. In addition to the 6 benchmarking apps listed below, I also tried 2 browser benchmarks (SunSpider & BrowserMark) in Chrome, but neither displayed significantly different scores. So, let's get to the results. Calculating digits of Pi is another popular way of stressing a processor, and particularly suitable because most methods stick to integer calculations and avoid floating-point math entirely. Along with Linpack, this gives us coverage of both basic mathematical operations. On top of it, Real Pi happens to use native code to perform the AGM+FFT formula, but uses Java for Machin's formula. On the native side, ART came out about 3.5% faster, probably due to interface optimizations rather than mathematical performance. More importantly, testing with the java code turned out to be 12% faster. (link) Note: in this test, lower numbers are better. Measuring the first boot after switching runtimes isn't your typical test, no doubt, but the time it takes is quite striking. I wanted to record just how long it took to complete both the App Optimization step and then the total time to actually reach the unlock screen. When I ran this test, I had 149 apps installed. While numbers can be helpful, they don't tell the full story. Benchmarks usually push the hardware to work as hard as possible for a few seconds, then switch to a new test that does the same thing. Sadly, this ignores details that aren't easily measured. I don't have a good way to measure the smarter timing of memory management (especially garbage collection) or better handling of multiple threads. While I can't show numbers for these things, I can demonstrate them. The classic test for a browser simply requires flinging the page as fast as possible and watching it try to keep up. 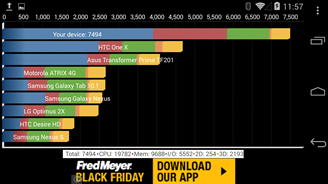 After stress testing Chrome for Android with the mobile version of David's gigantic HTC One review, it turns out that even the supercharged SoC of the Nexus 5 can't quite keep up while running on Dalvik… ART, on the other hand, never lost a pixel. Take a look for yourselves. To be fair, switching to the desktop version and giving a single fling will easily send you into blank screen territory, but it's still obvious that the renderer catches up faster on ART than on Dalvik. When more optimizations are in place, maybe we won't be far off from flawless scrolling even in the desktop version. 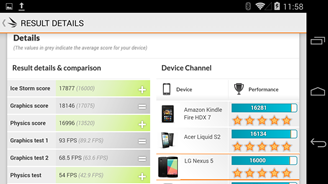 For another demonstration, a user by the name of spogbiper has posted his own side-by-side comparison with two Nexus 7s. The one running ART seems to be more responsive. The numbers and the videos together paint a picture of where ART stands today. It will definitely make a difference, but its current incarnation just hasn't matured enough to deliver significant gains. Floating-point calculations and basic responsiveness are obviously reaping the benefits of the new runtime, but that's about it. There's little or no overall improvement for integer calculations, most regular code execution, or much of anything else. In fact, it looks like gamers would be better served by sticking to Dalvik, for now. Why aren't the benchmarks blowing us away? If I were to make a guess, it's probably because the first goal in developing ART was to make sure it was functional and stable before the heavy optimizations came into effect. If that's the case, there is probably quite a bit of code for error-checking and logging just to ensure everything is operating as it should, which might even be responsible for more overhead than we had with Dalvik. Even in the places where ART doesn't outperform Dalvik, the numbers tend to remain reasonably close. As subsequent versions of the runtime emerge from Mountain View, we should expect to see the performance gap growing wider as ART pulls ahead. Now for the real question: is it worth switching to ART right now? 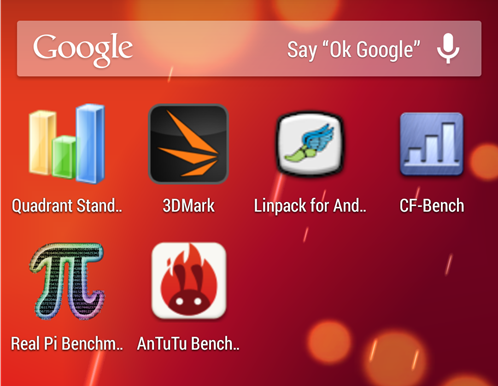 Google obviously isn't recommending it for regular users, and I tend to agree. While ART seems very solid and I feel like responsiveness is better - possibly just the placebo effect - there are still circumstances where it is unstable and causes apps to crash. If there is even a single instance where you have to switch back to Dalvik to get an app to run correctly, that inconvenience far outweighs the minimal performance gain you might have had. Once I've finished this series, I will probably stick to Dalvik for the remainder of KitKat; and I imagine most people will be better served by doing the same.